Completed a new year where we had high hopes that it would be that of the final publication of the long-awaited new work by Stevie Wonder. 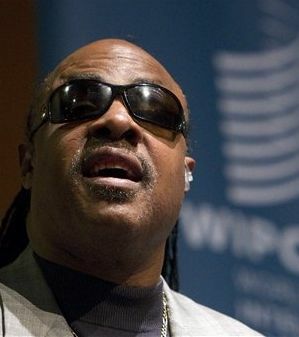 That has not been so, Stevie has relaxed pace, and just as in the previous year could not reproach him anything ... remember the frantic activity with awards, celebrations with Motown, the 25 years of Rock & Roll Of Fame, festivals and concerts, this past year has been a continued slowdown. Maybe needed to charge batteries and surprise us when I write this -this year 2011 beginning a new decade- with the publication of such works as expected by all. It is six years since "A Time To Love", a time-out that only artists like Stevie Wonder can afford without their fans give up and lose their musical ties. We are used and above all we are faithful. True to the sensitivity of its melodies, the poetry of his lyrics, his quality as a musician and the emotions of a man unique in the form of transmitting. Yes, this time has to be the great year, I can not stop repeating myself. This is my anxiety needed to perceive new melodies that comfort my soul, songs that emerged from the depths of a heart that keeps pumping feelings, emotions and experiences as very few are able to do so. I need to feel again clothed, as in his song "Shelter In The Rain" -My God six years have past!- feel the warmth and shelter of new tunes from Stevie Wonder.